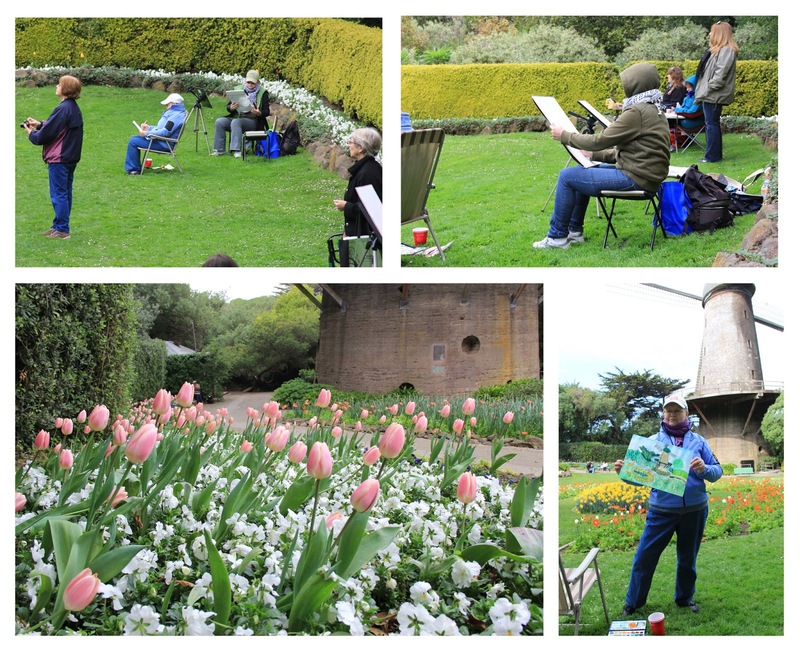 A couple of years ago the Tulip Garden in San Francisco Golden Gate Park was "on fire" with red and yellow tulips and poppies. I love tulips, every single stage of those flowers: the buds, a slightly opened mystery, and Boom! full bloom when the flowers expose their intricate beauty.. In this painting, the part of my Bay Area Flowers series, I tried to capture each stage. 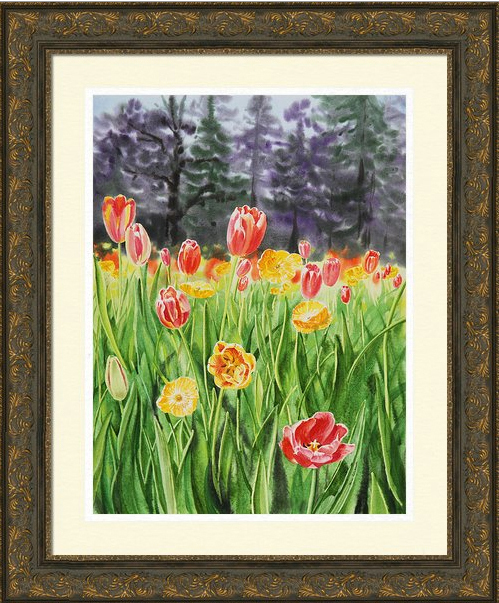 The original Tulip Garden in San Francisco painting is 27"x21" watercolor on Hot Pressed 140lb Arches Paper. 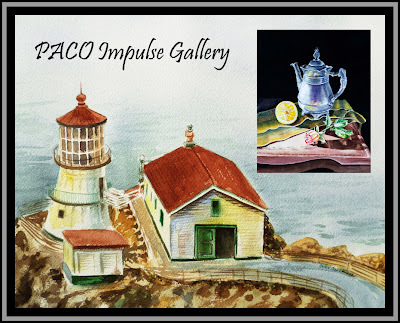 Two of my paintings Light, Love, Lemon and Point Reyes Lighthouse were accepted into a juried show at PACO Impulse Gallery, Pittsburgh California. Last Saturday, March 23 there was a grand reception. 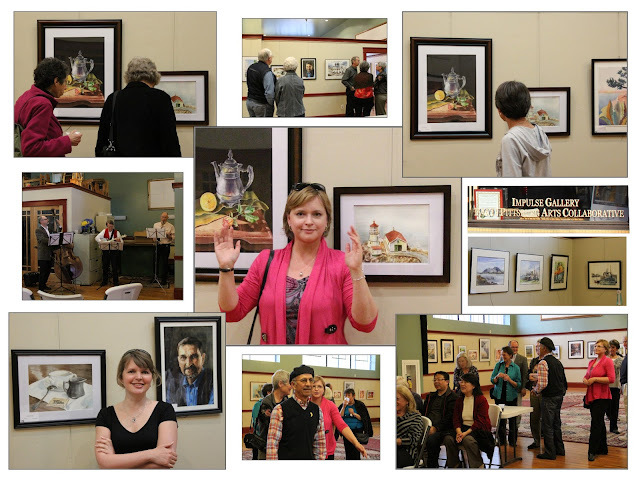 With more than 50 beautiful art works, jazz music, great curious public that enjoyed this art show the spirit of watercolor thrived and each painting was glowing with the light and love. still life Cream-N-Sugar and a portrait My Dad’s 60th Birthday. The art show will be running through April 20th. The Impulse Gallery is entered at Railroad Avenue, in the last block before the marina. The door is second storefront past the California Theater and across from the New Mecca Cafe. The gallery is entered by walking through the front area to the rear of the building. Gallery Hours: Mon. - Fri. 8a.m. - 5 p.m. 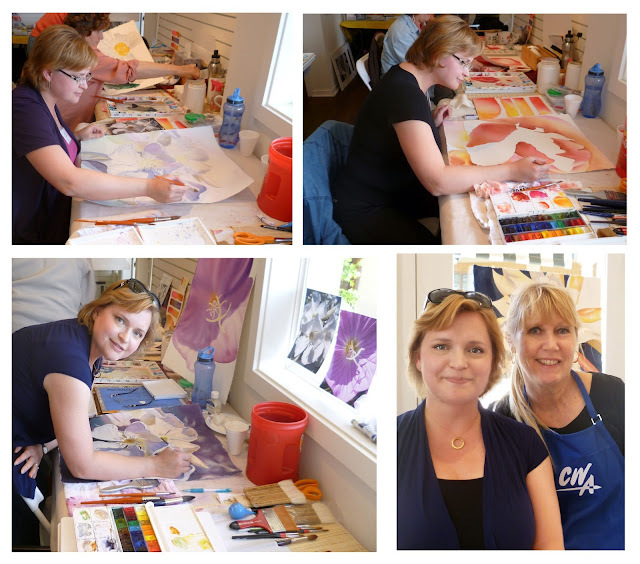 This week CWA workshop with Birgit O'Connor brought a whole new experience into my artist's life. 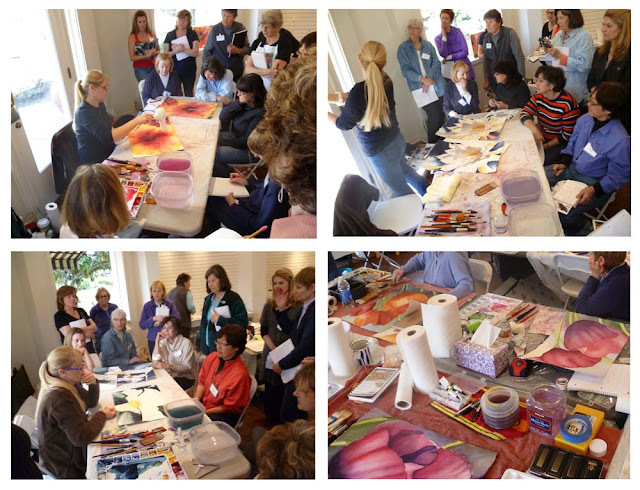 It was my first workshop that I've ever taken with an artist, besides an academic schooling of course. 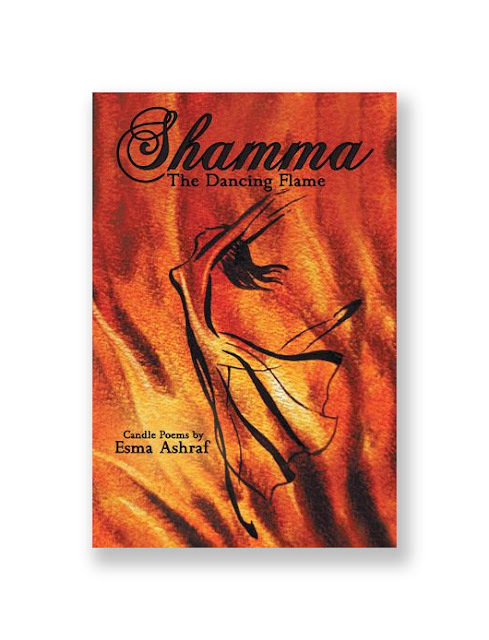 I had given workshops myself before and I was curious to see how is one of my favorite artists doing it. This workshop really helped me to loosen up and even though I worked on my own art projects, I tried to absorb every second of Birgit's presentation and listened carefully to her instructions in the class. 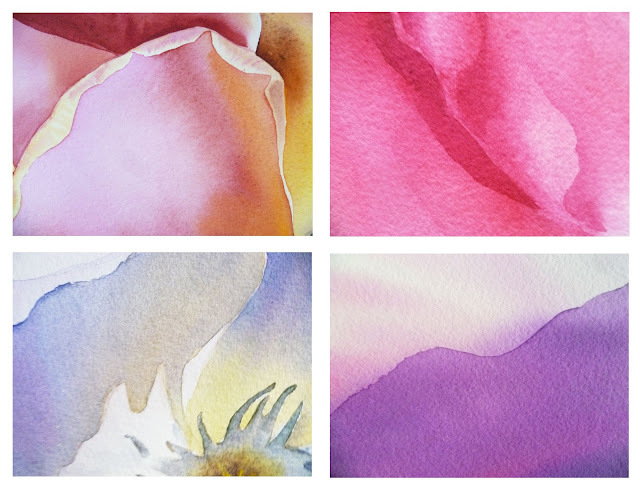 I also got inspired and started four new pieces for my Bay Area Flowers series: this time using 300lb Cold Pressed watercolor paper and Artist's grade watercolors while working with the new brushes (brushes that I got from the workshop, and I liked their quality very much). Art work "It Is All In Petals" is the collage made of fragments of my work in progress. Last weekend plein-air meeting brought together more than 20 people ( CWA artists and artist-guests). The location was just right: Windmill next to the Ocean Beach at the very end of Golden Gate Park, San Francisco. And it couldn't be a better timing: these days there is a tulip garden planted. 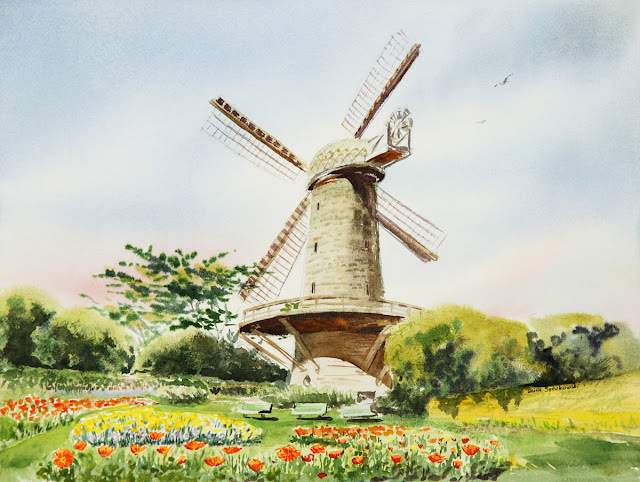 We enjoyed painting the flowers (tulips, daffodils, poppies) while morning fog was disappearing and the rising Sun lit the Old Windmill. I felt I was in some kind of fairy-tale, in the Little Holland. Back in 2011, I decided to get my Art Degree here in America. I went back to school. Before 2011, I got a lot of professional credits in Arts and also in Accounting through DVC - Diablo Valley College. But for official degree I had to focus on adding more General Education classes. My Bachelor in Arts from Russia (1992) was not enough for American degree as I didn't take neither American History nor History of California classes. And, I did not have an opportunity in Russia to take any other science such Astronomy or Algebra, Health Science or English Writing & Composition. 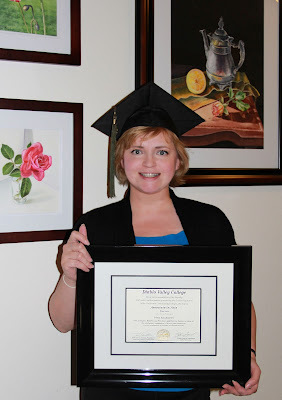 So, I jumped right in and studied hard earning my degree. A couple of weeks ago, Hooray! 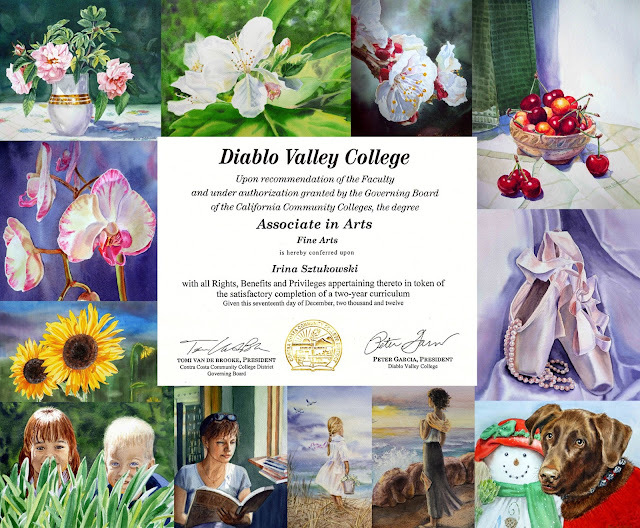 Hooray!, my sweet diplomas finally arrived: one AA in Fine Arts and another one AS in Accounting. Something to celebrate, eh.. (besides those 100+ paintings that I crated in the last 4-5 years :0)!!! 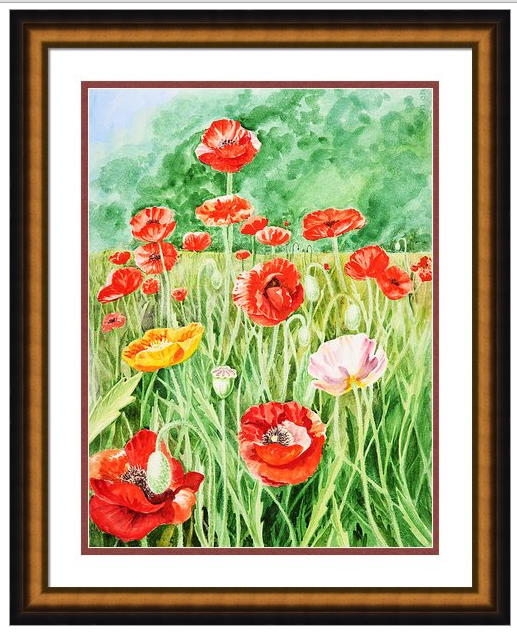 Poppies field is an inspiration after visiting Blake Garden in Berkeley hills. The variety of flowers there is amazing: red, yellow, pink poppies; a beautiful quilt made by Mother Nature (with the help of people of course :0).